Krochet Kids International is a non-profit and lifestyle brand dedicated to empowering people to rise above poverty. With a unique and holistic approach, Krochet Kids seeks to equip its participants with the foundational tools to bring about long-term change in a person's life: a job, an education, and personalized mentorship. 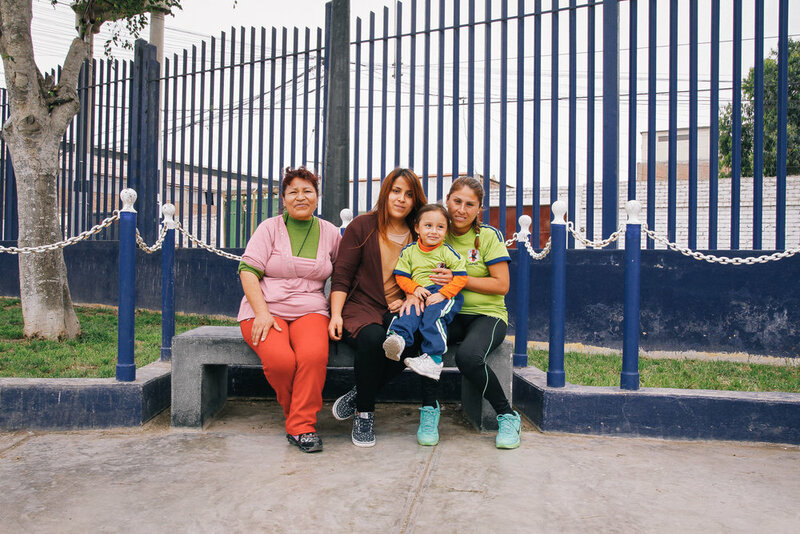 In 2015, there were 35 women employed by Krochet Kids in Lima, Peru who produced a large percentage of the goods that Krochet Kids sold. There were an additional 130 women employed by their sister branch in Gulu, Uganda. Established in 2011, the Peruvian branch of Krochet Kids has seen tremendous growth and now supplies the majority of the brand's products including apparel, knit hats, scarves, gloves, and bags. Krochet Kids Peru is located in the district of Chorrillos, an economically stunted area with a whole lot of heart. Once you get past the dust, the gray skies, and the plumbing issues, you’ll find a place where life is constantly happening. Weekends are filled with loud parties, circuses, and concerts. Celebrations last until the wee hours of the morning, perhaps even 8am. Peruvian culture is incredibly relationship-oriented. Who needs to be focused on the clock when you can be focused on a good conversation with a friend. People warmly greet you with a kiss on the cheek, a hug, and a “¿Qué tal?” They ask about your family, how you like the country, and if you’re watching the big game tonight. It starts with a job. A set of skills to be taught and mastered. Upon entry into the three-year program, each woman is taught to knit, sew, crochet, and produce each of the handmade products Krochet Kids sells. 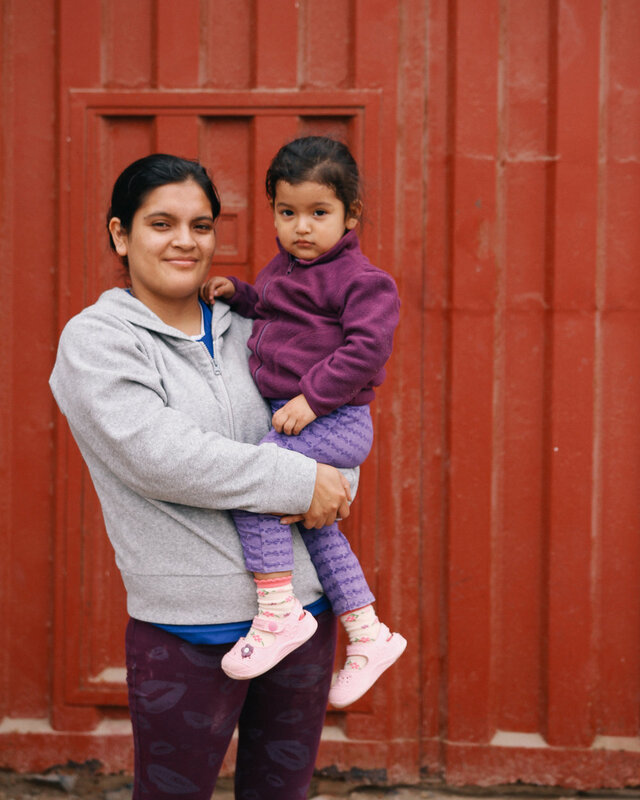 With a steady income comes more financial stability, but this alone is not enough to equip someone with the tools to break free of the constant cycle of poverty many communities, like Chorrillos, face. It takes a literal village; a community of support, a team of mentors, daycare workers, teachers, and conscious consumers purchasing the organization’s products. Another critical component of Krochet Kids' program is its focus on education. 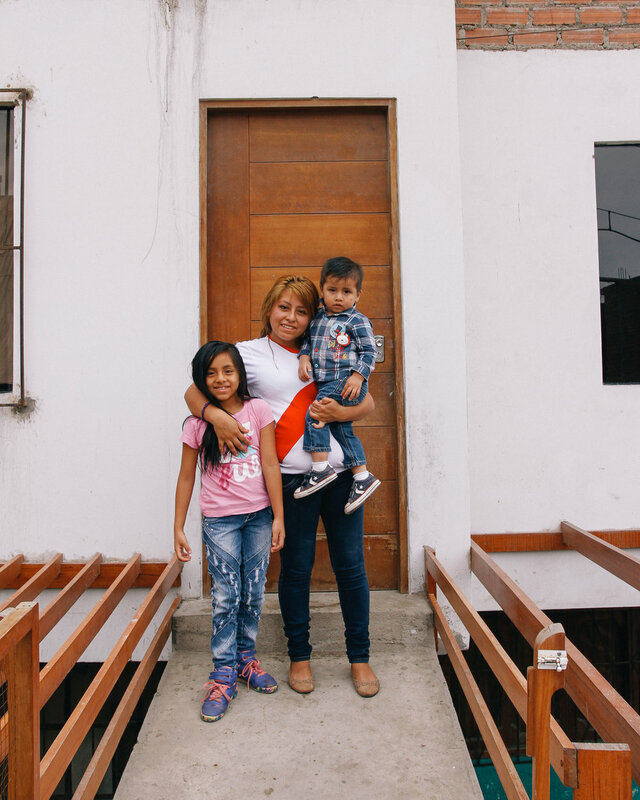 Through weekly lessons, the participants study a wide variety of topics tailored to the particular issues facing women living in the communities of Villa Nicolasa, Pacifico de Villa, and San Genaro. In the first year, the women focus on personal development: decision making, proper health practices, combatting domestic violence, self-esteem development, and community building. In the second year, the ladies begin to learn financial management and how to plan for a future. They have access to a group savings account and are taught how to handle, save, and spend money more effectively. In the third year, classes encompass business development and post-graduation planning. An annual Business Plan Competition contains multiple groups of the ladies developing and pitching their ideas for a feasible entrepreneurial business in the community such as opening a bodega, restaurant, or even their own knitting business. Weekly counseling appointments and personalized three-year plans are developed for each woman in the program along the way. This team of mentors are face-to-face with the victories and struggles each woman has seen and provide a consistent support system. Every product is hand-signed by the person who made it. Every product begins with raw materials, which the women knit on machines in the area known as Tejido, which literally translates to "knitting." From large spools of wool, poly blends, and natural alpaca fibers, strings of yarn are fed into manually powered knitting machines and the fabric begins to grow line by line. With a set of intricate needles and a passing carriage, the yarn is knit into a wide variety of styles, shapes, and patterns. A distinct mechanical rushing fills the concrete rooms with a rhythmic hum of activity and productivity. 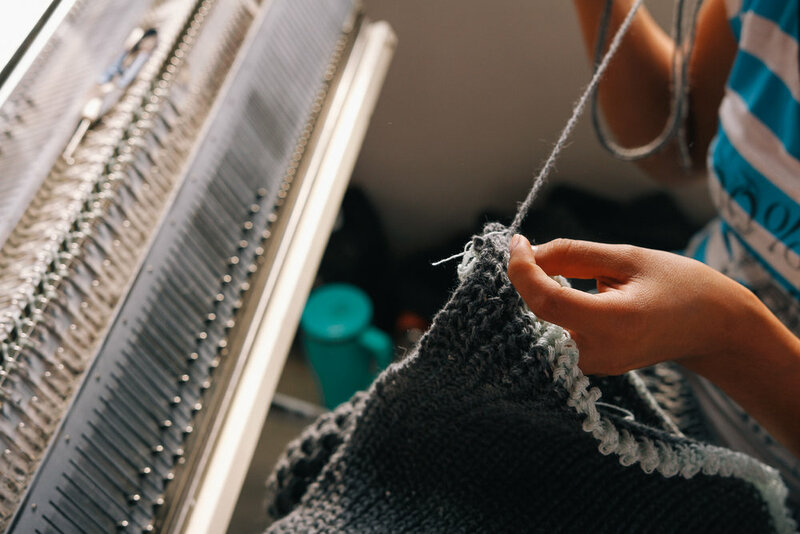 In the case of most products, once the panels have been knit they require crocheting or sewing to transform them into a finished hat or accessory. Depending on the product's difficulty and the woman's skill level, she can make anywhere from 5-25 hats a day. For the Berlin, a snowflake-patterned scarf, it requires a special round of ironing to flatten the fabric and give it a cleaner finish. In the summer of 2015, Krochet Kids produced close to 7,000 of these scarves for their winter orders. Each day, group leaders review the products made from the previous day and check for errors. If something doesn't pass, its maker performs the necessary repairs and the products are checked once more. At the end of each day, the participants fill out a series of labels with their names and attach them, thereby branding the hand-crafted product as their own. Once a product is purchased, the buyer can go online and learn more about the woman who made it; this is integral to Krochet Kids' philosophy. Once everything has cleared the internal quality control, items are tagged, bagged, and prepped to be shipped overseas to Krochet Kids’ headquarters in Costa Mesa, California. 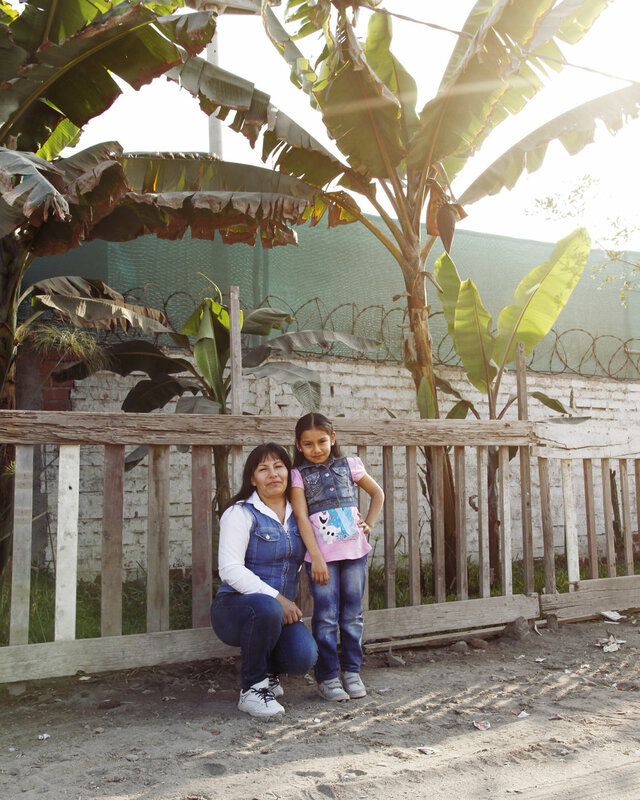 Tasked with photographing each program participant, we traveled up and down the district of Chorrillos to the small cramped areas of Villa Nicolasa, Pacifico de Villa , and San Genaro. Most of these images were accompanied by a meal cooked by each woman who graciously opened up her home to me and my prying camera. 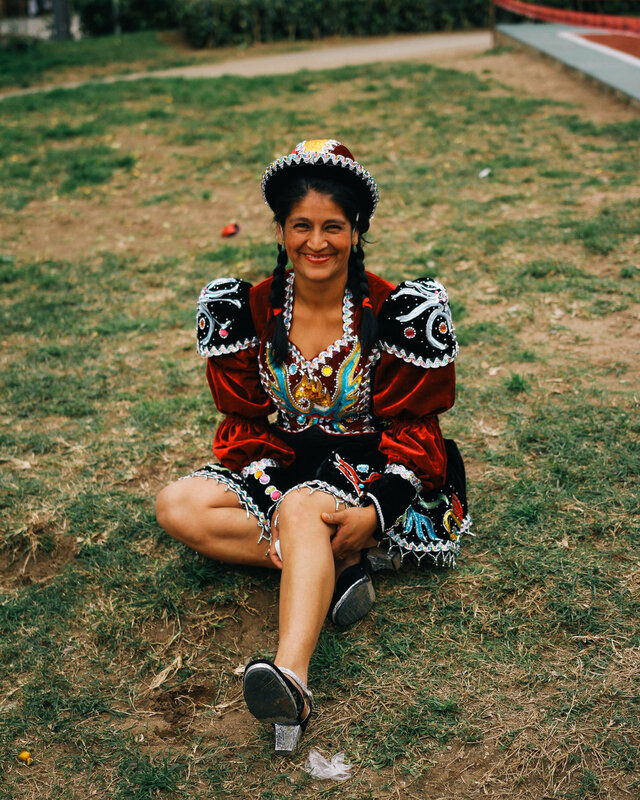 While the Peruvian culture is vibrant and joyful, often times the subjects of photographs can appear cold, stern, or disapproving - my goal in each portrait was to capture the true personality of each woman and her family. Outside of our day to day at Krochet Kids, our schedules stayed full - be it a group outing to Miraflores for an errand, a quiet stroll through the Bohemian district of Barranco, a lunch invitation by a neighbor, or a surprise party for a friend in Pacifico. There was never a shortage of social engagements, things to explore, and adventures to take. Gifted with six straight months of living in one of the most geo-diverse countries in the world, we had the opportunity to travel to several distinct regions of Peru - the lofty Cordillera Blanca mountain range, the quiet glacier rivers of Huancaya, the open plains of Arequipa, the depths of Colca Canyon, the hallowed land of The Sacred Valley, and the infamous Machu Picchu. Four years have passed since those first cloudy days in Lima, but this period remains one of the most formative in my life. It was a constant adventure. Peru, I have found, teaches you a lot of things about yourself. For instance, I never thought myself to be the kind of person that could survive without hot water, who could carry on a conversation in a language that I had long forgotten, who could detach from cell service, social media, or my American life- but in fact, I became that kind of person. Peru, I have found, gives you a lot of things that you didn’t know that you needed. Like visions of technicolor homes in brilliant shades of sky blue, tangerine, and vermillion. Like dusty sunsets and pancake dinners. Like Saturdays getting lost with new friends and evenings spent catching up with old ones. Like movie nights with pirated DVDs and projectors. Like buffets of brightly colored fruits with complicated titles and parks full to the brim with friendly cats. Peru, I have found, will always be my second home.